Fresh Ink: An Anthology: Careful--you are holding fresh ink. And not hot-off-the-press, still-drying-in-your-hands ink. Instead, you are holding twelve stories with endings that are still being written--whose next chapters are up to you. My thoughts: I’m in the middle of reading Our Stories, Our Voices, so this isn’t a final review but my impressions so far. 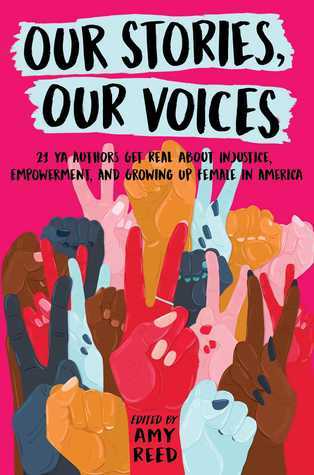 This is a political book and it’s meant to be; the essays written by a diverse group of women concerning the topics of immigration, feminism, sexual abuse, LGBQ (sadly, there is no transgender rep in this collection), racism and more. The collection is at times heartbreaking and powerful with each author willing to share their own personal struggles and pain of what it’s like to be a female in America with the hope that maybe one child will see themselves in a story and not feel so alone. To know that you’ll make it and you are seen. Some of the essays are more polished than others – technically speaking – but the raw honesty and emotion more than make up for it. 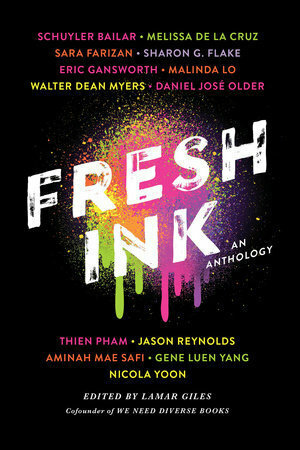 Fresh Ink - an anthology in partnership with We Need Diverse Books – features 13 Own Voice YA authors and 10 short stories, a graphic novel, and a one-act play. The stories are beginnings more than complete stories (but still very satisfying) & cover topics like gentrification, immigration, racism, LGBQT, bullying and more with a range of emotions. Some stories are are poignant, others powerful and impactful and others just plain fun. 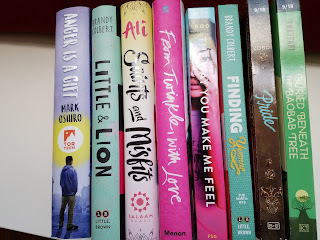 A few of the stand outs for me were Super Human by Nicola Yoon (superheroes, racism), Catch, Pull, Drive by Schuyler Bailer (diving, transgender, bullying) & A Boy's Duty by Sharon G. Flake (astronomy, racism, homelessness, second chances) & Eraser Tattoo by Jason Reynolds (first love & goodbyes/gentrification)- but it's a solid collection overall. 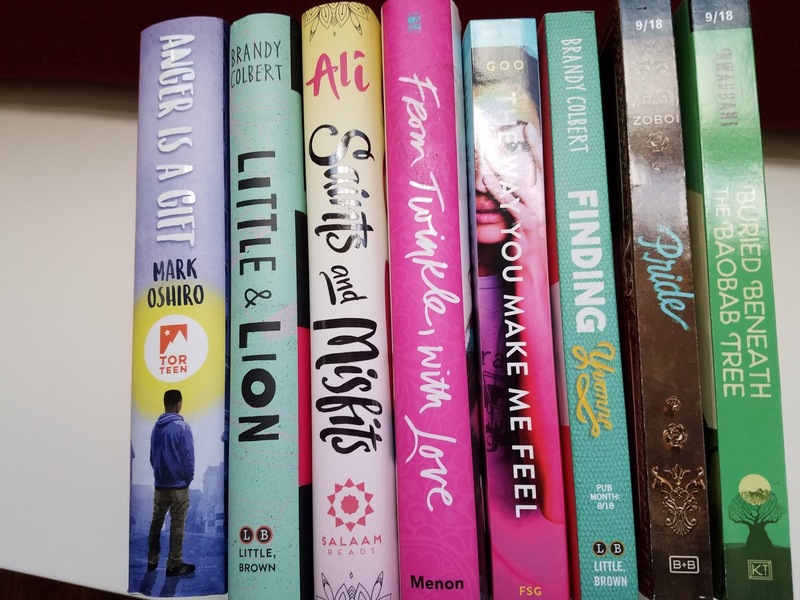 I've been getting a variety of diverse YA books for review. I would like to pass the books on when I'm done with them to own voice reviewers and may not have access to publishers or arc's. I know there's the #bookwish thing going on right now on Twitter but I'm hoping to find a few blogs/bloggers to work with on a regular basis to get the books more exposure and own voice reviews. I can't promise specific books or time frames because I intend to read and review the books myself first - but I'm thinking of possibly sending a list at the end of every month to choose from?? I guess I need to see how much interest there is first. I haven't had much luck with this in the past but I'm giving it another shot. Details: I'm really sorry about this but it has to be US shipping only. All of my giveaways are international because of TBD but I personally can't afford to regularly ship boxes outside the US. 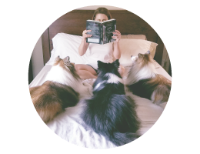 You can be a small blog (actually preferred!) as long as you post honest reviews on a fairly regular basis. I prefer a blogger but get in touch if you post elsewhere (like Goodreads/Instagram etc) but have a decent following or engagement with fellow readers. Another option - let me know if there are any schools, youth groups, LGBQT centers or anything like that who need books. They are always in good condition but FYI - most are arc's and only occasionally are there finished copies. & share with anyone who you think might be able to help! I hate how expensive it has gotten to ship international. It has always cost more but I was still able to ship large packages of books for about $20 several years ago and did it all the time. 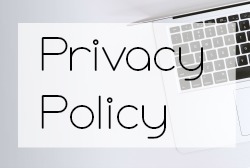 I'm sure international bloggers are the ones that could benefit from this the most too. Anthologies aren't my thing either but Fresh Ink especially was a good one. I saw that bookwish thing, tried it twice and gave up cos alas, no time for internet. I wish I could have checked it out deeper. Anyway, great idea about sharing! That's till going on - I think you just post your wish list (or browse other people's list of what they have) and contact each other. And others are doing giveaways but I don't know how that works. I assumed that would turn into some dram at some point and it did lol so I've tried to stay away from it. Thanks for the minis. I hope you find someone who wants to review with you. This is a great idea. I have so many books and they deserve to be read and reviewed by more people - especially by the people who need to see themselves. I'm so thankful the publishers are getting the flipping hint that we want more diverse reads. I'm mixed, I want to read more than just white female characters lol. I think we all want this and hopefully they keep listening. Fresh Ink has been on my TBR for a while, but the other I hadn't heard of before. Sounds really interesting. It's a great collection Ash! I've been eyeing off both these anthologies too Karen, I love books that empower women and women from marginalised backgrounds. I'm so glad you enjoyed them both Karen and so incredibly generous that you want to pass them along. I checked out the book wish tag and it's such a lovely idea. I've had a few random people inbox me that neither or us follow one another, copying and pasting long wishlists and asking me to purchase them a book. It's awkward as I'm not in a financial position where I can help others. Fingers crossed you'll find someone who'll love and cherish a few of those titles. I love the diverse direction publishing is now taking, it's refreshing to see our wider communities are receiving representation. Onwwards and upwards from here! I kind of stayed away from that # lol Those things always turn into drama but it is a great idea! I tend to stalk comments and see if people want certain books that I have then contact them. I'm always happy to share any books with you Lauren! If you ever see anything just ask! Our Stories, Our Voices looks pretty good. And I was curious about the Inked one too. I was thinking about anthologies the other day, and how I don't read very many, but I do love a good short story (and trying new authors)- I should try to read more of 'em. Anthologies are so iffy for me. They tend to be open ended, which I hate, lol These were too but I didn't feel cheated - they closed at just the right spot. I'm a huge fan of novellas right now. They've improved drastically over the years.